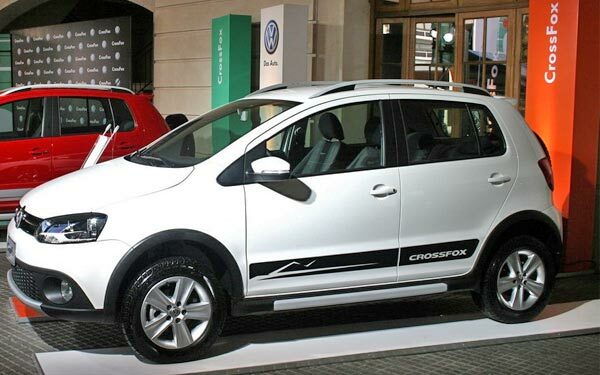 VOLKSWAGEN CROSSFOX. This urban subcompact VW has a lot of functionality and offers a comfortable ride in town for a very cheap price. When you hear the term 'urban subcompact' usually you have no idea what it means. Basically it can be translated as: small car and cheap cost (both purchase and maintenance). Usually who buys in this segment does it because is looking for a car to go from point A to point B as cheaply as possible, forgetting the comfort and amenities. For these buyers, there are models that are able to keep its low cost, but they offer the equipment that have cars from more expensive segments. A clear example of this case is the Volkswagen Crossfox. This small utility car is based on the VW Lupo, but the big difference is that this version has more ground clearance and wider tires. These simple differences make it a completely different car. The city driving is enhanced enormously with these so evident features, especially in bad condition areas. With the Crossfox is much easier to circumvent potholes and bumps, but it is still a subcompact car with enough agility to address also the transit of large cities. The space inside is enough for 4 passengers and seats are comfortable. The driving position is high, which helps in the transit city dweller. The center console design is simple, accommodating all the buttons easy to understand and activate. The equipment of the car is very good for its class. It features such amenities as power windows, locks and mirrors, sound system with USB and SD card and Bluetooth connection. It is also one of the few in the segment with audio controls on steering wheel. In order for these Volkswagen can keep its cheap price, it is necessary to make some sacrifices in some places, and in the case of the Crossfox the most obvious are the interior materials. The plastics from the dashboard and the steering wheel look cheap. The assembly quality is good, but buyers would appreciate better quality materials. The cheap Volkswagen Crossfox has a four-cylinder 1.4-liter with 100 horsepower attached to a 5-speed manual gearbox. The engine is adequate in general terms but is a bit slow when accelerating, a defect that becomes evident when you attempt to relining on fast roads. What this engine does very well, is to deliver a very good fuel consumption, thus fulfilling its role as a economy car for the city. Its cargo space is somewhat limited so at the end it's not the best prospect for long trips, although it was never its purpose. The mission of the Crossfox is to provide comfortable handling in the city at an affordable price without sacrificing the equipment, which does an excellent job. Video: Volkswagen Crossfox, a cheap car great for the daily city driver.